What levels of supervision are required for physician trainees? This month’s #MedEdPearl focuses on faculty supervision levels using a prospective, summative entrustment scale that fosters physician trainee progression toward autonomy. As trusting propensity is an important component in supervision and entrustment, ten Cate and colleagues have developed an easily understood model for communicating aspects of entrustment through level of supervision for trainee assessment. The model describes elements of progression and decision-making that can foster autonomy in the learner. As a complement to ten Cate's model, the #MedEdPearls team offers the following questions to quickly assess the required level of supervision for a learner while encouraging learner growth. A main learning component of skills and competencies is feedback. As instructors, when a learner makes a mistake, we jump to the conclusion we know why the learner erred without inquiring about the learner’s thought-processes. “Frame-based” feedback is a strategy to avoid this feedback error and to teach more effectively and efficiently. In an excellent article* about frame-based feedback the authors suggests three quick steps to provide effective feedback while avoiding our own cognitive biases: 1) Provide initial and specific feedback on what you observed; 2) Inquire as to what the learner’s ‘frame of mind’ was; 3) match teaching points with the learner’s frames. While no one wants to make a mistake and no one wants their mistake pointed out to them, without constructive feedback the learner loses opportunities to improve. As we continue to move toward milestones and competencies in assessment for medical education, we should focus on providing formative feedback to our learners. With the start of a new year and scores of self-improvement resolutions underway, what better time to think about resources to help attain your goals and avoid barriers that might impede success in your self-improvement efforts. What’s your story: the power of narrative medicine? 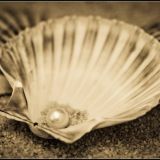 Inspiration for this #MedEdPearls goes to @annieweisman1 & @dmullinsdms from their recent storytelling workshop at The Generalists in Medical Education. Storytelling is a communication method that has stood the test of time. Its use in medical education is seen across the continuum to engender motivation to learn on topics across a diverse spectrum: empathy, well-being, professionalism, reflection, etc. The purpose of scholarly teaching is to move beyond basic teaching, which is routine and non-changing. Scholarly teaching is informed by pedagogical literature as well as student evaluations, peer evaluation, and self-reflection. The Scholarship of Teaching and Learning (SoTL) goes beyond scholarly teaching by disseminating research findings to impact educational practice beyond one’s classroom walls and serves to bridge the gap between teaching and research roles of the academic. COACHING for peak professional performance is making a strong appearance in academic health science organizations. But, use of the word coaching can be confusing with so many applications including life coaching, academic coaching, and peer coaching. How do we help students make learning “stick”? Retrieval-based learning may be the answer. Purdue researcher Jeffrey Karpicke, PhD, studies how the mind and memory work and suggests that repeated, spaced retrieval leads to greater learning results. This approach to learning could influence curriculum design, learning session organization, and assessment activities. When medical students matriculate they are somewhere between child (pedagogy) and adult (andragogy) learners. We assume adults learn differently than children because they’ve had more life experiences, are motivated by their perceptions and personal needs, have an interest to direct their learning experiences, and have greater needs to apply learning in and to specific contexts.